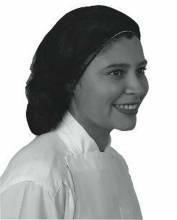 Zanduco carries both disposable and cotton chef hats for cooks working in any type of kitchen position. 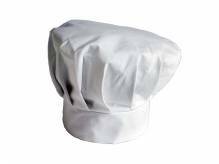 Whether for the food prep, or the head chef, a chef hat is a must-have for any person dealing with food products. Ensure that all food is protected from stray hairs, by providing your kitchen staff with the proper accessories. Single-use/disposable chef hats are perfect for those working in food prep, or for those working in cafeterias and food trucks. By using disposable hats, you can be assured that they are clean and sanitary. Keep your kitchen staff as comfortable as possible, by also following health and sanitary standards! 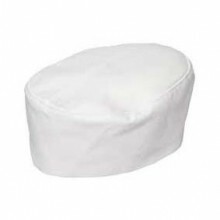 Add a chef beanie or professional chef hat to your uniform, to ensure that your staff’s hair is kept out of the way when making their tastiest treats! A hot kitchen is never kind to those working in them, so a cotton hat helps the process by absorbing the sweat much better than a disposable chef hat. 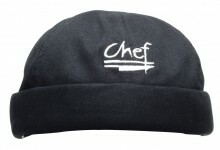 These hats can be washed just as easily as chef and server’s aprons, jackets, and pants!